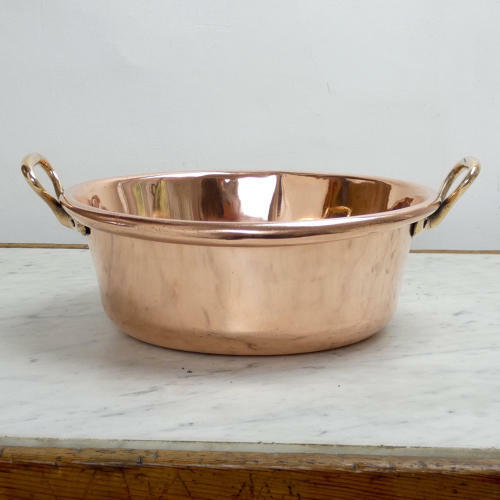 A small, French copper preserve pan. This piece is made from a substantial gauge of copper and it dates from c.1890. It has the typical French shape of brass handles to either side and it is in excellent condition. The height quoted above includes the handles but the depth of the pan is 12.5cm. (5in).